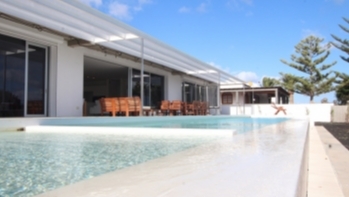 Located on the south coast of Lanzarote, Playa Blanca is the southernmost and newest resort on the island. Only 40 minutes drive from the airport, Playa Blanca has become one of the largest tourist areas of the island. 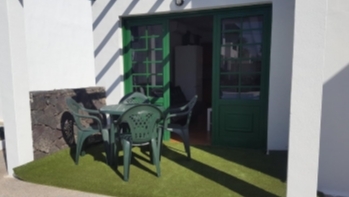 It is home to a variety of shops, restaurants and bars, as well as golden beaches and a beautiful harbour where you can take a ferry to visit Corralejo, on the near Canary Island of Fuerteventura. The climate in Playa Blanca is very pleasant with the average high temperature in the summer months reaching 28°C with 11 hours of sunshine. Winters are cooler although the temperature is rarely below 15°C and you can still expect 6 hours of sunshine. Rainfall is very low and usually non existent in the summer months from June to August. The wettest month is December when you can expect around 15 days rainfall. Playa Blanca has a choice of four beaches Playa Blanca, Playa Flamingo, Playa Dorada and Papagayo. The Blue Flag beach of Playa Blanca is in a central location with bars, shops and cafes close by. Playa Blanca is Spanish for White beach, and this definitely fits in with the beach as the sand is beautiful. Playa Flamingo beach is a lovely clean beach a few minutes walk out of the centre of the town. The rocks create breakwaters making it a great place for swimming in calm waters. Playa Dorada has golden sand with a quiet and relaxed atmosphere. The beach is popular with families as well as residents. Papagayo beach is unspoilt with golden yellow sand rocky cliffs creating a natural pool impression. Museo Atlantico is an underwater museum located in the bay of Las Coloradas. The museum consists of statues built with natural pH materials and was conceived as a place for the preservation, conservation and education of nature and marine environment. It is approximately 12 metres underwater and is reached by scuba diving. As indicated by the name, Aqualava Water Park is a tribute to the local landscape and volcanoes. It features a wave pool, a children's splash area with slides as well as bigger water slides for thrill seekers. There is also a lazy river for if you are looking for a more relaxing ride. If you get hungry from all the fun, visit the Timi kitchen, the restaurant on the park which serves anything from burger snacks to paella. 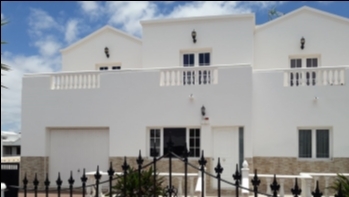 You like many of our happy clients, you too could find your ideal property for sale on the south coasts of Lanzarote in Playa Blanca. No matter what type of property you are looking for, Lanzarote Investments are here to help you find your Lanzarote real estate dream today!